Could this tragic Indianapolis nightclub shooting have been prevented? A fight inside Krave nightclub reportedly escalated into gunfire outside the club Sunday morning, September 24, 2017, claiming the life of 29-year-old Terrian Dawson and leaving another injured. According to the IndyStar, shots rang out “at Krave Nightclub in the 6400 block of West Washington Street,” shortly before 3:00a.m. FOX 59 reports, “the club was shut down” by security after “a fight broke out inside,” sending a “crowd of about 200 people…into the parking lot and street.” Gunfire apparently erupted outside, tragically killing Mr. Dawson and leaving a second victim injured. 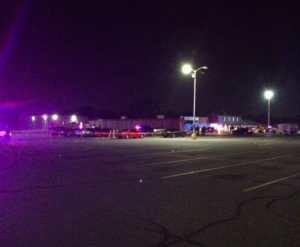 The tragedy marks the “second shooting incident at this location this year,” per FOX 59 reports. Did negligent security contribute to this senseless loss of life? We represent individuals and families who have suffered a tragic loss or injury as a consequence of negligent property security. Read Our Legal Take below to find out if the victim’s family may have a legal avenue for justice and claims for substantial compensation in Indiana, or call now for a free consultation with our legal team: 888.842.1616. Nightclub and parking lot patrons have a right to feel safe and secure while on the premises. The Murray Law Firm questions the level of security provided on the property and whether this tragedy may have been prevented. Were any additional security measures implemented by the nightclub owner, following media reports of prior gun violence on property? Generally, property owners are required to protect all patrons legally on the premises from any foreseeable harm. Should the facts of this matter reveal that the nightclub or parking lot owners failed to provide adequate security to protect those on its premises, the family of Terrian Dawson may seek justice and elect to pursue legal claims for his wrongful death. Additionally, the other victim of this shooting may elect to pursue legal claims for his injuries. Based upon its prior successful experience in handling security negligence claims on behalf of victims and their families, The Murray Law Firm suggests that photographs and a thorough, unbiased inspection of the property will need to be performed immediately, before any evidence may be repaired, damaged or destroyed. Given the complexities of pursuing a negligent security case, it is imperative that the victims retain an experienced attorney who can ensure the preservation of any and all evidence that may support such a claim.